Department of High Energy Physics, Tata Institute of Fundamental Research, Mumbai. The Large Hadron Collider (LHC) project is a tool to study the universe when it was extremely young. The most spectacular harvest of LHC-Run1 has been the discovery of the Higgs boson in 2012, which brought the Nobel prize for physics in 2013. We shall elucidate on the basic idea about the Higgs boson and briefly describe how it was discovered. The LHC project is designed for long term operation with intermittent shut down periods for upgrading the machine and experiments. Run2 of the LHC has just started with collisions at almost double the energy of Run1. It brings in heavy excitement with the possibility of discovering the unknown. We shall conclude with the status of the project. Kajari Mazumdar is a Professor in the Department of High Energy Physics at Tata Institute of Fundamental Research. She obtained her Ph.D. degree from University of Mumbai in 1992 and continued working at TIFR as a faculty member, except for 2 year-long stints at CERN, Geneva during 1992-3 and 2002-3. Kajari has been participating in accelerator based high energy experiments and presently collaborating in CMS experiment at CERN-LHC, Geneva. She is currently the leader of the Indian groups working in CMS experiment, having served once already for 2 years during 2011-13. Kajari is mainly involved in data analysis of CMS experiment, making significant contributions in several of them. Additionally she is the site executive of the CMS Tier2 Grid Computing centre at TIFR. 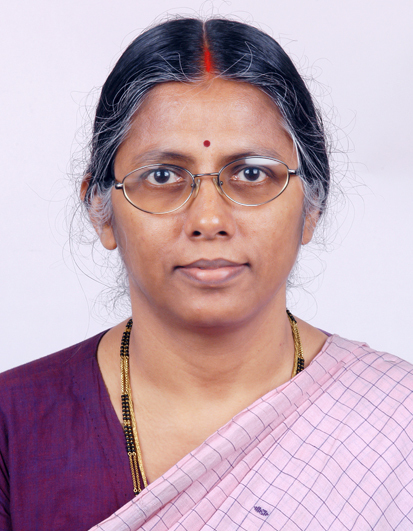 She had taken key role during the R & D phase of CMS hadron calorimeter at TIFR. Presently she has several important responsibilities within CMS experiment as well as at the national level. She also engages herself in public outreach, if time permits.